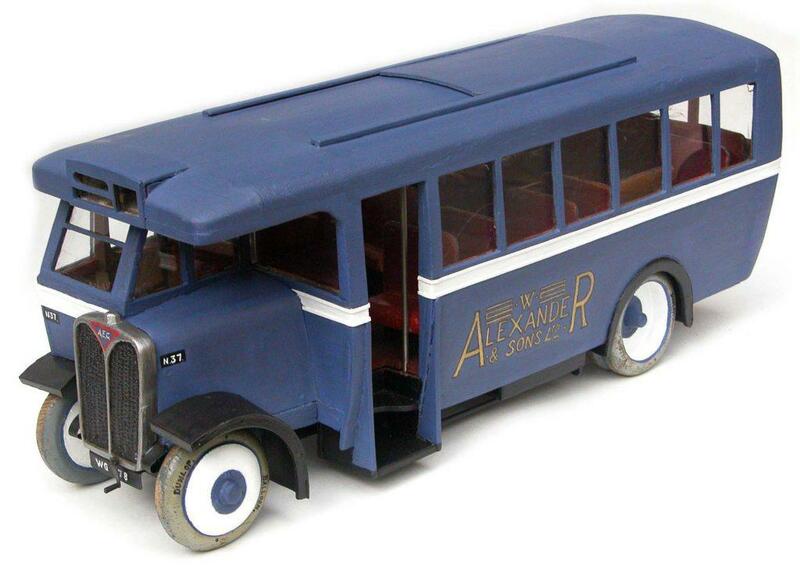 This Raploch-built bus of the period 1931-1935 is a service bus, and recent purchase for the Smith’s collections. It required extensive restoration, and both purchase and restoration money came from the Friends of the Smith. Transport history is not something which can be dealt with comfortably in the present confines of the Smith, but fortunately, this bus is a toy measuring 25 by 7 inches. Most of the bus details are faithfully reproduced, and at one time it even had lights inside. It is typical of the kind of pre-war toys which skilled workmen made for their children. The bus has a Falkirk registration number, and the only thing missing is the headlights. When the coach works outgrew the Drip Road site, they were moved to Camelon in 1958.